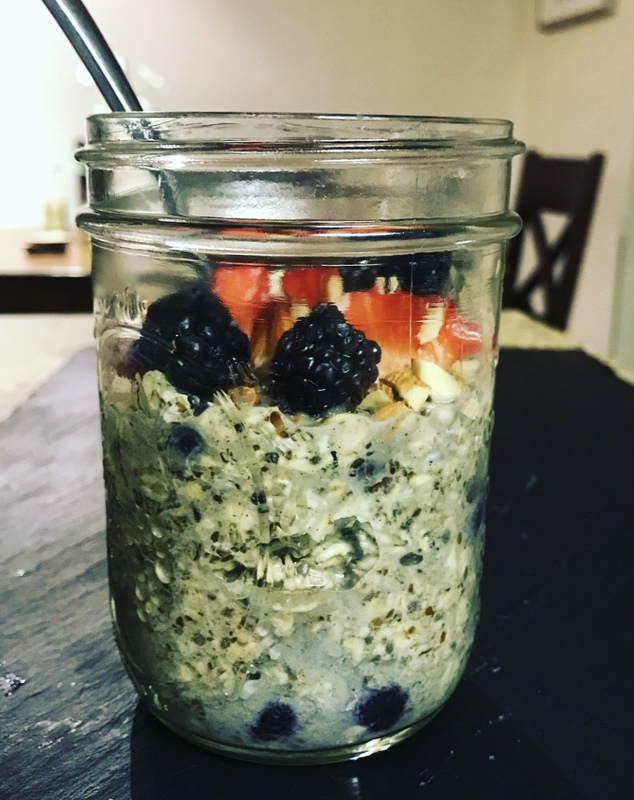 Our overnight oats provide fiber, omega 3 fats, B vitamins, antioxidants, protein, complex carbohydrates, and help to strengthen and rebuild connective tissue. Feel free to improvise with your favorite fruits, milk, or protein powder! Put milk and protein in a pint jar, stir well. Add rolled oats, flaxseed meal, chia seeds, nutritional yeast, cinnamon, salt, and sweetener. Screw jar lid tightly and shake until everything is combined. Allow to sit overnight in the fridge. In the morning, top with chopped nuts and fruit. *if your protein powder makes the mixture thick, just add a little more milk.